Floetrol Faux Painting Glaze Qrt. 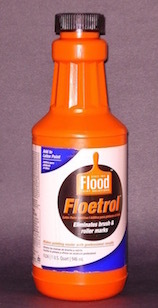 Floetrol paint additive in a quart size that can be used as a faux painting glaze. You can achieve various faux finishing effects with this great product. The ratio that "we" recommend is 6 parts Floetrol and 1 part wall paint. Other glazes are more opaque and require you to use more paint, if you want your walls darker. This tends to remove some of the "open time" you need. *NOTE - THIS PRODUCT MAY BE DROP SHIPPED FROM ANOTHER COMPANY.